There are many types of sheds that can be used by Perth residents to enhance their homes. From garages to different kinds of storage sheds, you can surely find one that will fit your needs and situation; whatever you decide on, you can be sure that it will add value to your property. 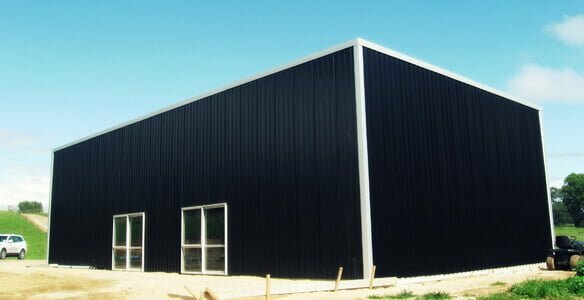 Now, among the many types available in the market, there is one in particular that is trending as one of the hottest sheds that can increase both the efficiency of space and appearance of your home—the garden sheds. Garden sheds are becoming more and more popular among houses in Perth because they provide extra storage space. You can conveniently build it on your backyard, where you can keep tools, extra plants and everything else you might need for home gardening or do-it-yourself projects. Having one place where you can store your essential items is practical and more organised, decreasing the chance of misplacing or losing your stuff. Aside from having extra storage space, a garden shed is also great for a number of other things. Rather than using it as a workshop where you keep your tools and other items, you might want to consider making the interior of the shed daintier with carpeting and wall decorations. You can then convert it into a home office or study, which is great for people who work from home or need a quiet place to complete tasks. You could also bring in a bed and lampstand and make it a bedroom for guests who might be staying with you. Sheds also make great playrooms for children as it gives them a space of their own and out of the main areas for the parents. Actually, you can use your shed for several purposes and just convert it depending on what the situation demands. Garden sheds are on the rise now among families in Perth and other areas because they are very versatile. They can be used as simple storage, but they can also be a special place for both children and adults, even guests when they stay over. Any size of shed can be easily built for you. For more information about how we can help you, call 1300 778 628.